The prodigals return! 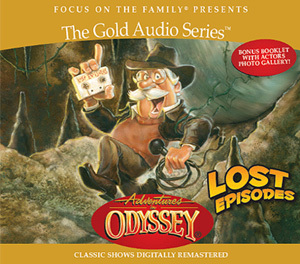 Adventures in Odyssey's lost history has been found! These displaced, misplaced, secound-guessed and just plain forgotten stories from the popular kids' radio show are back! Dusted off, then digitally remastered for outstanding sound quality, these wayward episodes from the early days are loaded with great storytelling and values-based content (like every Adventures in Odyssey story). Fresh from exile, here are the stories time almost forgot. When Emily Forbes' dentist finds out that Emily's brother has been terrorizing her into thinking that the dentist is going to pull all her teeth out, he and Emily prepare a plan of their own to show her brother a thing or two. Phillip Callas gets angry during baseball practice and tells his younger brother Dean to go home. When Dean doesn't return home, the police get involved and try to track down the boy. Laura Freemont feels her "hickish" parents aren't as sophisticated as they should be. Whit shows her that there's more to her mom and dad than meets the eye. A girl with a reputation for exaggeration learns an important lesson when she tries to tell the truth about an outrageous situation. It's a hilarious - and thoughtful - look at the hazards of lying. Tom and Whit reflect on the things that happened over the year. Connie's friend, Pamela, arrives from California for a surprise visit - and brings another more serious surprise with her. Phil Lollar hosts a "look back" on the first 12 years of Adventures in Odyssey, including clips and anecdotes from the series. In baseball they stop play when a player gets his 500th hit. On Broadway, they have a party when a show has its 500th performance. 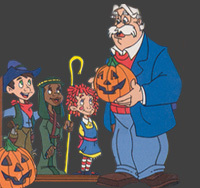 Today's Adventures in Odyssey is episode 500. Relive some of the best moments. You'll hear from the producers of the show and even the actors.